An orphaned teen Makoto Yuuki returns to his home town and transfers to Gekkoukan High where he is attacked by creatures known as Shadows who feed on the minds of their victims. He finds other kids at the school not only know of these creatures, they can summon Personas to fight the Shadows. He joins them and signs a contract with a creepy child to acquire his own Persona and fight Shadows too. This is an interesting concept even though at times the art style can make the action and combat scenes a little confusing. The volume was a little short to really get into but based on what I’ve seen, I think I would rather watch the anime for the story so I can see this in action. 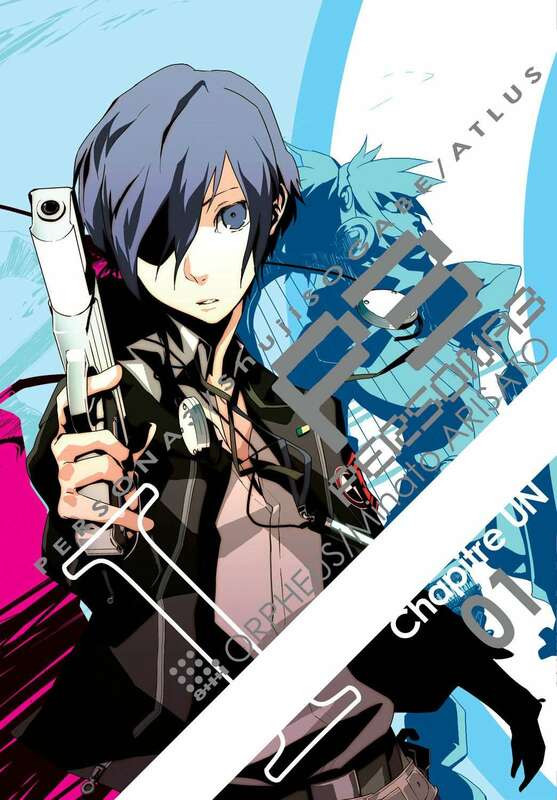 It looks pretty awesome; especially the idea that Makoto shoots himself to summon his Persona. A little emo but hey, his parents just die. He’s entitled.